The assets the Kardiatonos team was using, including their logo, had been created in Microsoft PowerPoint. 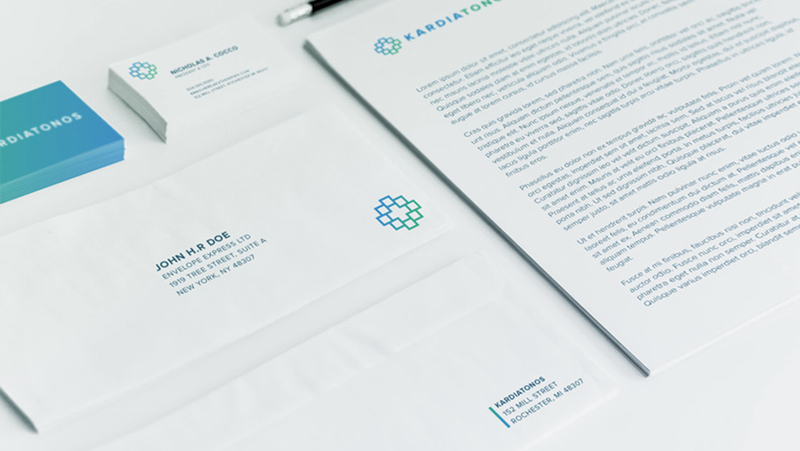 The Kardiatonos team had a vision for their company and partnered with Media Genesis to create professional assets that could properly portray that vision. The challenge was to create a cohesive and branded professional presence that would garner trust and project innovation while allowing the company to make their mark in the biopharmaceutical industry. Due to the innovative nature of their diagnostics and therapies, we helped Kardiatonos take on the endeavor of educating the public and those in the field on their company, the illnesses they’re targeting, and how their therapies work through scripted videos and animations. The following animation is used to inform physicians and the general public about the inner lining of the arterial wall called the endothelial glycocalyx. The scientists at Kardiatonos believe that having a healthy endothelial glycocalyx prevents cardiovascular disease from occurring. During our branding process, we also worked with the Kardiatonos team to create a new website design and full-featured Content Management System through Drupal. We worked diligently to assist in copywriting the content, creating custom icons for the new site, and writing and distributing press releases. K2Therapies.com launched in December 2016 and since then the Kardiatonos team has been working on the company’s forthcoming diagnostic and its pre-clinical therapeutic.